Good morning! 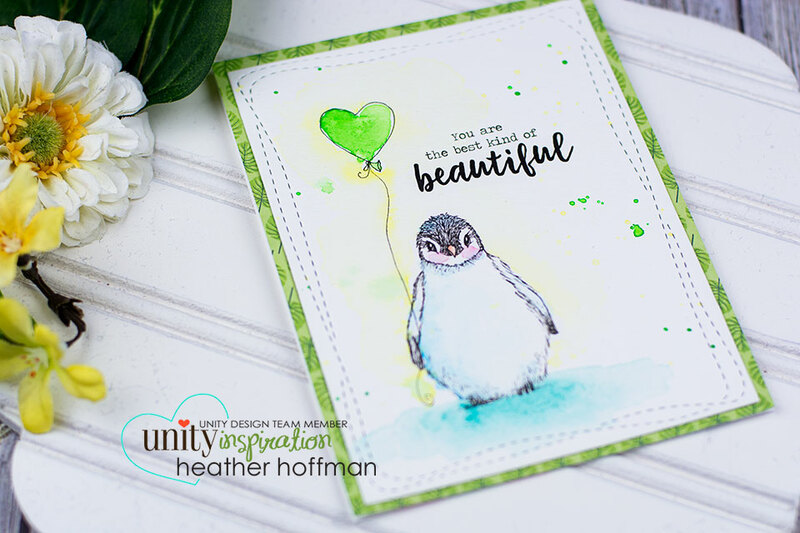 Popping by with another simple card using a darling new image from Unity Stamp Company that I watercolored in the hospital waiting room while my mom had her surgery this past week! This image is amazing! You don't have to add much to this image to make it shine - it would even look amazing just in black and white with the balloon colored in! That was a cute penguins. I wish your mom also have a good recovery after surgery. 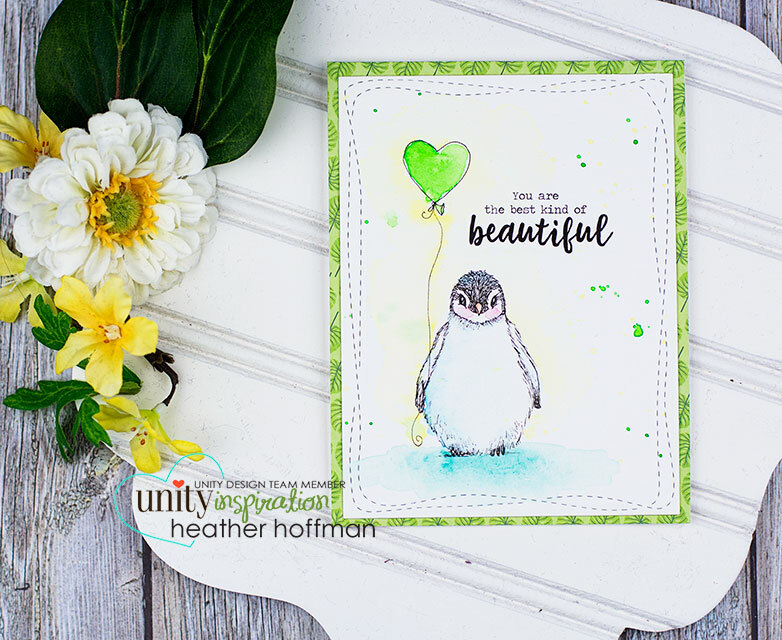 Sweet card and lovely coloured background. I was wondering about the wonky stitching die, who is it by please?